If there's one thing Austria is known for above all else, it would have to be music. And while we Americans might immediately think – Julie Andrews and The Sound of Music – the hills around here are filled with much, much more than that. We first visited Austria in 1983, just after marriage and graduation, stopping only in Salzburg during a whirlwind trip through Europe before starting our careers and family. The highlight of that trip was taking in a string quartet at the Palace in Salzburg. On Thursday, as we were wandering around the old city, we passed a church, St. Anna Kirche, where there was a notice that a string quartet would be playing that evening: Mozart (String Quartet No. 14 in G Major, K.387); and, Beethoven (String Quartet No. 4, Opus 18). 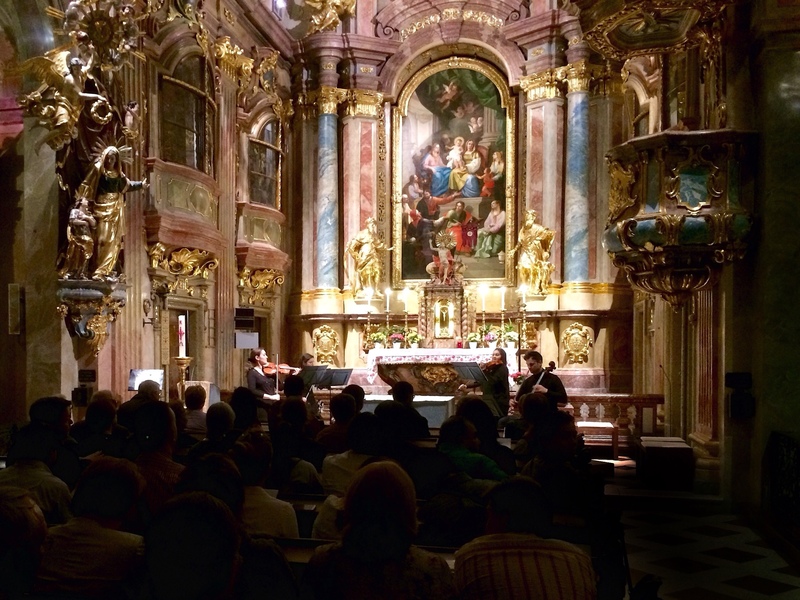 The music was familiar to us and would be to you and the setting and acoustics in this little church were as magnificent as what we heard in Salzburg more than 30 years ago. For an encore, they played Bach, Air on the G String – you would know this one, too. 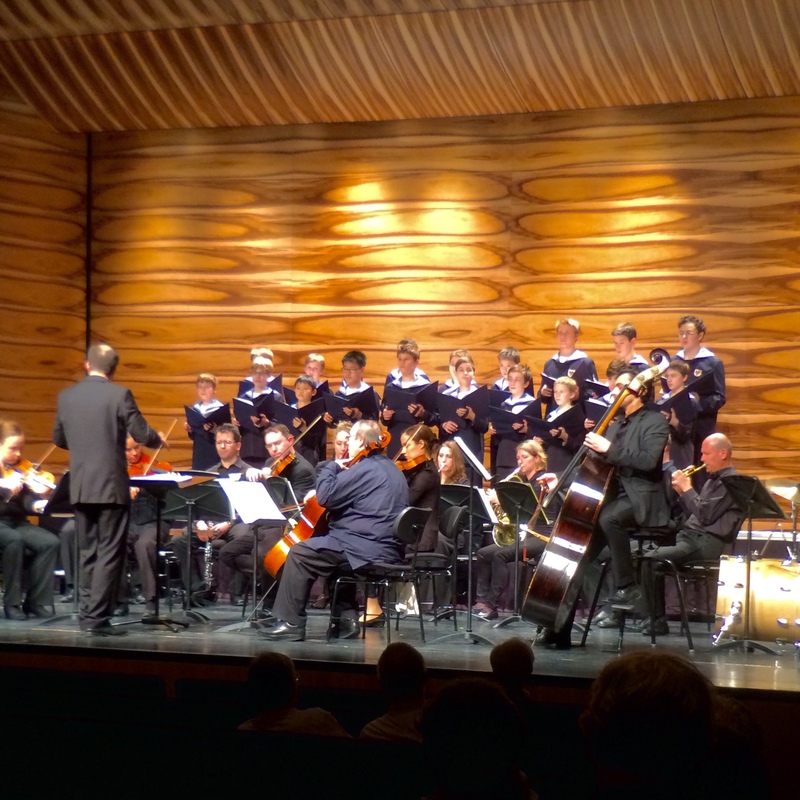 The next night, Friday, we took the U-2 – the subway, not the rock band – to hear the Vienna Boys' Choir perform at the “MuTh,” their concert hall in the Augarten. The Vienna Boys' Choir has been performing almost since the time Columbus discovered the Americas, although, of course, they're different boys now. The music varied, but the introductory piece was from Carmina Burana: O Fortuna – you'd know this one, for sure. 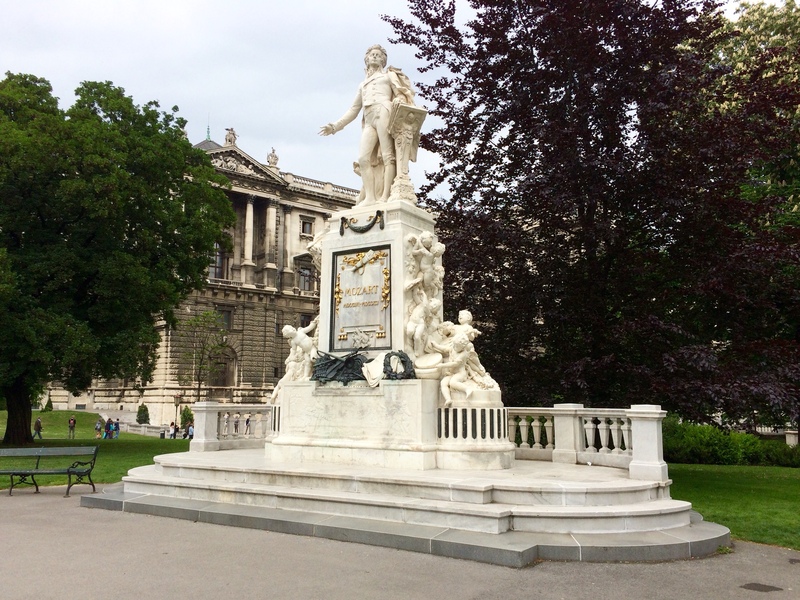 While we were in a musical and theatrical mood, we decided to go for three in a row and on Saturday we visited the Burgtheater (the Austrian National Theater) on the Ringstraße. 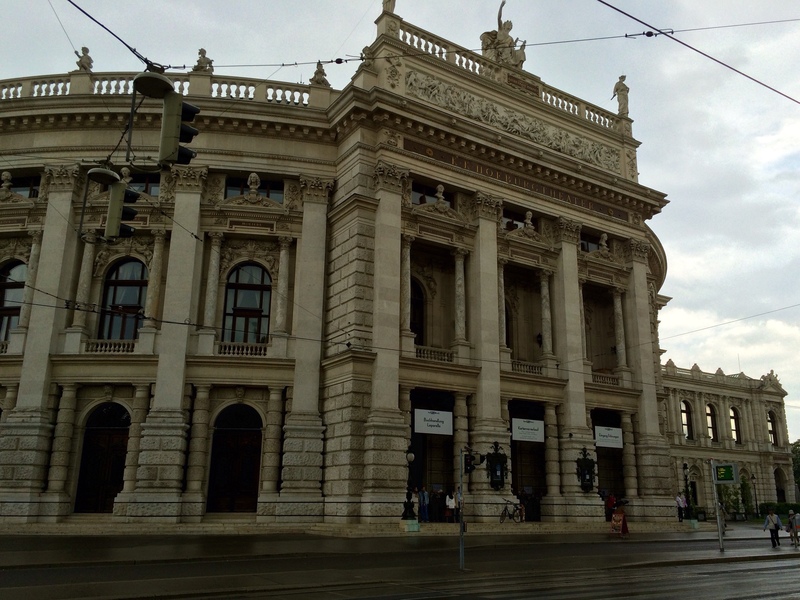 The National Theater was created by Empress Maria Theresia and first opened in 1741; it was moved to the current building on the Ringstraße in 1881 and is supposedly the premiere theater in the German-speaking world. 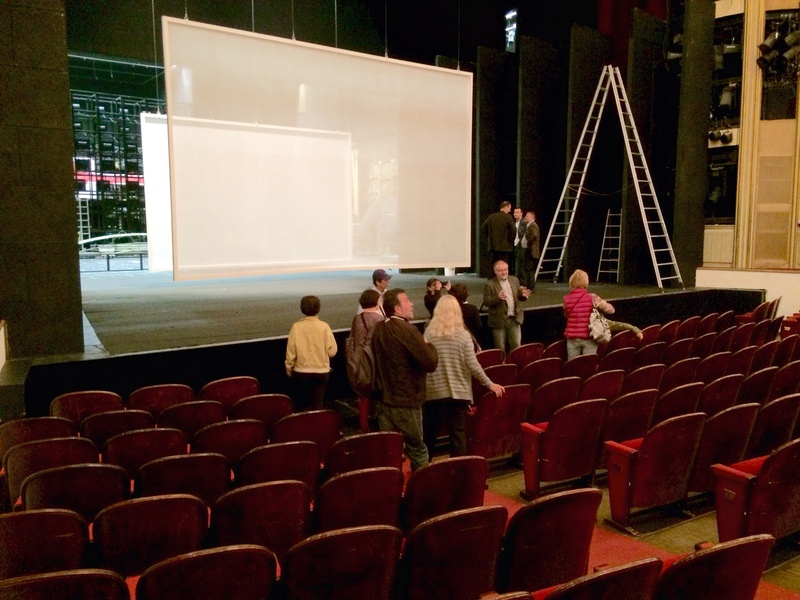 I have to admit that I don't know much about theater, but I did find it interesting when we got to go backstage to see what goes on, literally, behind the scenes. 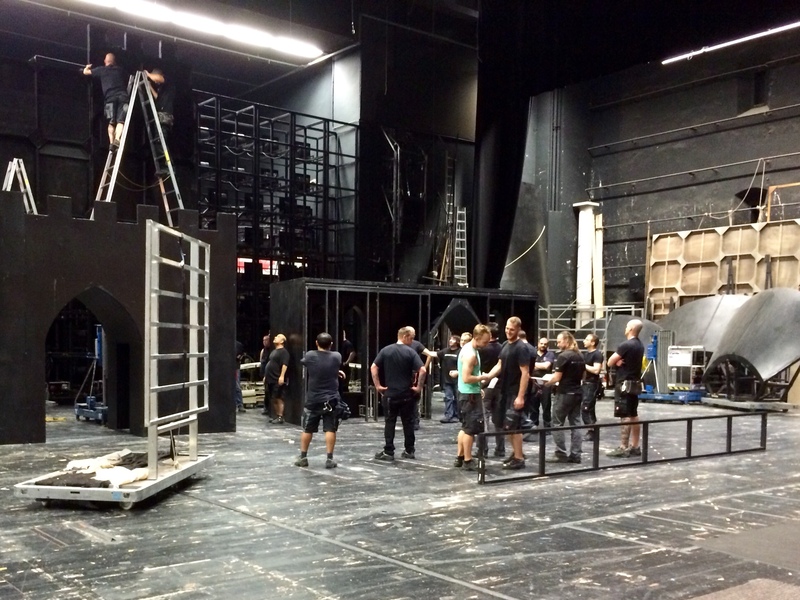 The sets are all pre-fabricated and stored along the side walls, then brought out and assembled, as needed. They sure had a bunch of workers putting up the set for that night's performance. We were told that the entire floor where those guys are standing can be raised and lowered by more than 20 feet in each direction – amazing! 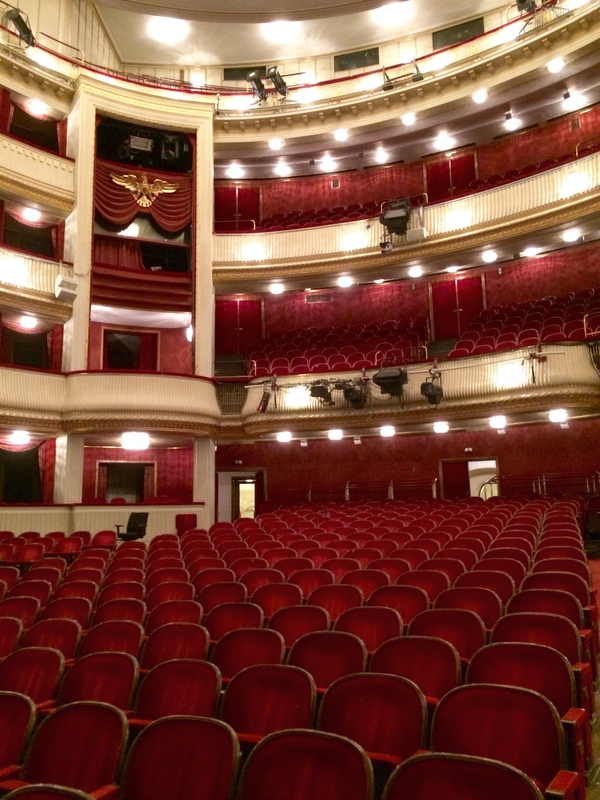 We still have a few musical events to attend while we're here in Vienna: the Vienna Philharmonic Orchestra's Sommernachts Konzert 2015 (the Summer Night Concert) tomorrow; and, an opera, La Cenerentola, next week. 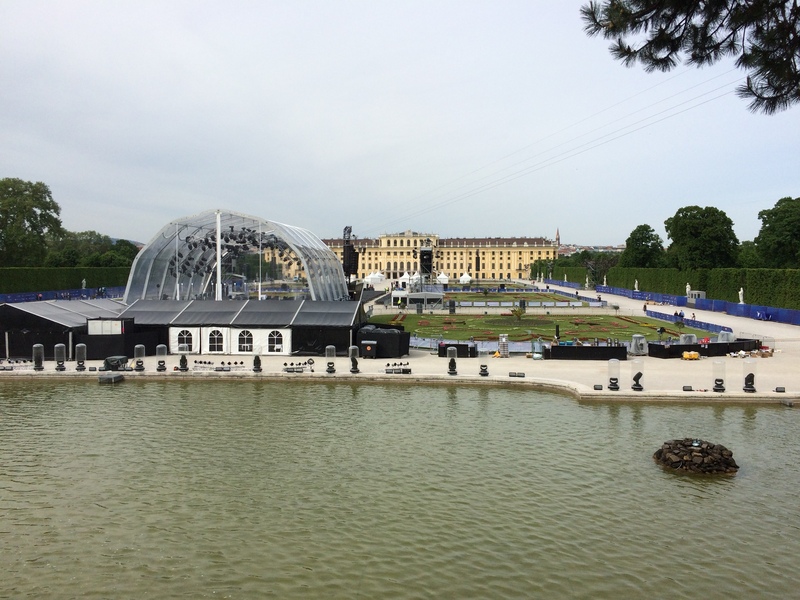 The Philharmonic is playing outdoors at the Schönbrunn Palace grounds.